Since the day iPhone 6 Plus is exposed to the public, it has been at the forefront of the public voice. New features of iPhone 6 Plus? iPhone 6 Plus full specification, price? iPhone 6 HD wallpapers help? These questions are the most common ones iPhone fans care. Yet, recently, the Q related to Apple 6 Plus merits and demerits is asked daily on the increase. In such case, I think it's of necessity to list out the top advantages and disadvantages of iPhone 6 plus and aid the vast numbers of fans to have a full picture about iPhone 6 Plus before they make some decisions. Plus, a useful iPhone 6 video converter app is also shared for you to take advantages of iPhone 6/6+'s big screen while enjoying videos and make best use of iPhone 6 without any disadvantages. See also iPhone 7 pros and cons . You're recommended to backup data with MacX MediaTrans before switching to iPhone 6. This iPhone manager helps to backup iPhone videos, music and photos in case of data loss and enables to export media files from iPhone to Mac to free up iPhone 6 space. * iPhone 6 Plus 5.5-inch screen with high resolution Retina HD display just amazing. * Exceedingly powerful and badly efficient. Built in the new A8 chip and Dual-core 1.4 GHz Cyclone (ARM v8-based) processor, this new iPhone 6 Plus delivers more power, even while driving a larger display. Better still, assisted by the M8 motion coprocessor, it can more efficiently gathers and deals with various data with faster speed. Note: You are advised to get iOS 10 update to enjoy more features and advantages on iPhone 6.
iPhone 6 Plus sports such a fabulous 5.5-inch HD retina display and powerful processor, it would be the next best thing to watch movies and videos on iPhone 6 Plus while on the tour or way home. If worry about Apple iPhone video format limitation? Now with the world-class MacX Video Converter Pro, you can convert any SD or HD video to iPhone 6 Plus MP4, MOV, M4V video or iPhone Ringtone, MP3, AAC audio with intact quality. The first and unique support of hardware encoding technology makes the video converter for Mac achieve world's No.1 fast conversion speed, up to 5x faster than its rivals when converting video to iPhone 6 (6S Plus). More incredibly, this video to iPhone 6 converter can also support you to download and convert YouTube video to iPhone 6/6 Plus, as well as download and convert video audio from Facebook, Vimeo, Vevo, Dailymotion, Instagram, Myspace, Metacafe, etc. with over 300 video audio sharing sites supported. Thus, regardless of video music formatted with FLV, MP4, MKV, AVI, 3GP, MP3, AAC, FLAC, or featured with 720P/1080P/4K Ultra HD resolution, this all-inclusive video downloader yet converter can do all of them for you as long as you name it. * Payment without the wallet more convenient and secure. For some who prefer to shop online with convenience and private information security concurrently, the innovative iPhone 6 Plus Apple pay application is a must-mention advantage of iPhone 6 Plus. This novel Apple pay combines the convenience and security of Touch ID and Passbook with NFC technology, which support you to pay in stores via MasterCard, Visa, and American Express within apps with merely a single touch. * Incomparable battery life beyond your imagination. 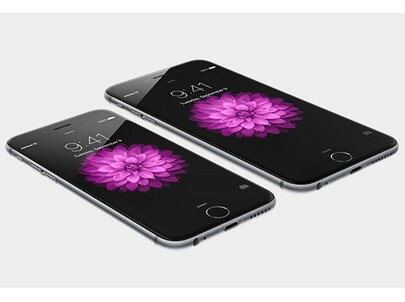 Compared with its brother iPhone 6, the pro of iPhone 6 Plus in battery life becomes apparent. Inherent with Non-removable Li-Po 2915 mAh battery (11.1 Wh), iPhone 6 Plus acts as a strong power supply to let you have talk time up to 24 h (3G), stand-by to unbelievable 384 h (3G) and for music playback up to 80 hours. iPhone 6 Battery Life saving tips to tackle the issue. *More high-tech and impressive camera for photo buffs. The last but not least iPhone 6 Plus advantage I need to mention goes to the nascent high technologies iPhone 6 Plus brings and its improved 8MP camera. The high-tech iPhone 6 plus is infused including a barometer as a Health iSO 8 app, Family Sharing, iCloud Drive, and a faster LTE download, etc. In addition, Apple offers iPhone 6 Plus with an enhanced 8MP camera with 3264 x 2448 pixels, optical image stabilization, phase detection autofocus, and dual-LED (dual tone) flash. Moreover, the iSight camera has a new sensor with Focus Pixels and new video features, like 1080p HD at 60 fps, slo-mo at 240 fps, and time-lapse video mode. Therefore, you'll have more reasons to capture more moments on video, as well. Note 1: The growing photo library on your iPhone 6 may someday chew up your storage space. But you has a strategy - transfer photos from iPhone to Mac as a backup and then free up your iPhone space -to get around this storage woes by with a photo transfer software, such as MacX MediaTrans. Note 2: How wonderful if the pictures shot with iPhone 6 Plus 8MP camera can be transferred into a photo slidshow? No worries! The all-round video converter for iPhone 6/6S (Plus) can also seamlessly accomplish this for you to let you make a stunning photo slideshow video with self-selected music and special effects. Note 3: iPhone 6's camera is swoonsome, but its camera is even better with iPhone 6S/Plus' 4K video recording feature. Yet, the camera of iPhone 6S/Plus is far from perfect, for iPhone 6S/Plus camera not working issue is constantly reported. Currently, Apple is sparing no efforts to fix this issue. All things are imperfect, and so is iPhone 6 Plus. After getting the pros of iPhone 6 Plus, it's high time to strip off its dazzling appearance and seep into its interior side to see what iPhone 6 Plus disadvantages are before you make some decision. No.1 iPhone 6 Plus Disadvantage - The Price is High! The previous iPhone 6 Plus purchase with a two-year contract is seemingly cost-efficient. Yet, the majority of consumers would still like to buy the contract-free iPhone 6 Plus. When visiting Amazon, you would find that iPhone 6 Plus should cost up to $1000 for 16GB and $1250 for 128GB, which are far more expensive than iPhone 5S in the last same period. Besides, Apple latest product Apple Watch sold at $349 also has fatal attraction to you, which works with iPhone to watch your health condition. And if both are your cup of tea, I bet that might go beyond your budget. Currently, the smart phone market is divided mainly by Apple and Android phones. They compete against each other and also make progress together. iPhone 6 Plus is the typical instance. See, here are some features iPhone 6 Plus absorbing from Android, like the 5.5 inch screens, NFC, video chat, custom keyboards…etc. Besides, the iPhone 6 Plus lacks Android MicroSD support and the speed barely goes only up to Cat 4, with only 150Mbps speed compared to LG G3's 300Mbps! As the successor of iOS 7, iOS 8 does bring the Apple users an excellent performance since there are plentiful advantages of iOS 8 it brings to your iPhone 6 Plus. You see the pros of iOS 8: continuity between Mac OS and iOS; QuickType and 3rd-party keyboards; new features in Mail & Messages and new spirit of openness for app developers. Though the iOS 8 advantages are numerous, the cons of iOS 8 has recently discovered, like great demand in a massive amount of space to install; noticeably slow down older models; third-party keyboards, Apple's own native keyboard, iMessage glitches, multitasking gestures, frequent crashes of the Settings app, laggy notifications, and overall sluggishness. Considering so many problems iOS 8 has, Apple instantly launches the upgraded iOS 8.0.2 to resolve these issue. Whether iOS 8.0.2 have any real impact, it still needs some time to test. Click for more iOS 8 upgrade problems and solutions. Furthermore, if you are fed up with iOS 8/iOS 9 update problems, you can also upgrade to iOS 10 to embrace the great benefits of Apple's new opearting system. At least one point Android smart phones even better than iPhone 6 Plus is that Android phones support the users to freely insert or draw out the battery to independently charging. 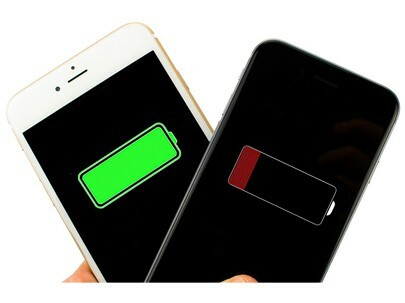 To Apple iPhones, you can only charge the battery with the whole iPhone, which sometimes leads to great inconvenience to the users when they need iPhone to make urgent calls on the move while iPhone are fixed to supplement power. The common iPhone disadvantage also becomes an obvious con of iPhone 6 Plus. And even the 10th Apple anniversary flagship iPhone 8 has the same battery problem. Compared with its strong opponent Samsung Galaxy S5, iPhone 6 Plus is instantly dominated when it comes to the dust proof and water resistant display. As a latecomer, iPhone 6 Plus are supposed to surprise us more with some groundbreaking changes, e.g., the display. But unfortunately, besides the bigger yet higher resolution retina, it seems no other innovation breakthrough even lack of dust and water resistant display. The strengthes and shortcomings of iPhone 6 Plus have presented for you. If you are considering to purchase iPhone 6 Plus for yourself or friends, hope it be helpful for you. In case you have already purchased iPhone 6 Plus and want to jailbreak your iPhone 6 Plus for more convenient use, it's advisable to comprehensively understand the pros and cons of jailbreaking iPhone before you jailbreak your iPhone 6 Plus. What is jailbreaking? Jailbreaking is not the same to unlocking. It means bypassing the restrictions Apple puts on the operating system and taking full control of the device. Once that is opened up, any software, good or bad can now be uploaded to your device without Apple's approval process. Customization: Customizing your iOS is a big enticement for jailbreaking iPhone. Simply download a jailbreak app named springboard and you’re able to practically change every aspect of the interface. Icons, text, default graphics, layout positioning, etc. Dangers of unscreened apps: Jailbreaking downright let your iPhone accessible to the malware, adware and even virus since jailbreaking completely steer clear of the protection walls Apple built into both iOS and the iTunes App Store. The usually the malware for iOS has affected only jailbroken iPhone iPad iPod. Piracy: Jailbreaking means the flood of pirated apps, as well. You see if many a user jailbreaks iPhone or other iOS devices, they just can download countless pirated apps for free, which will dramatically harm the benefits and enthusiasm of the Apple store developer. And the last thing we want to do is deter developers from creating more superb apps. Fail to update: Once you're on the dark side, you kiss goodbye to take advantage of newer Apple's updates, owing to iOS 9/iOS 10 problems. You can always just update and lose your jailbreak, but you'd be advised to just do a full restore to ensure stability. 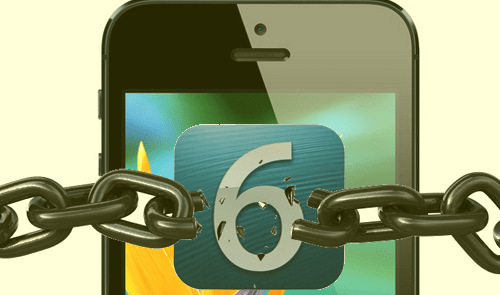 Shattered security: Jailbreaking is a double edged sword. It fundamentally changes the whole operating system and lets any app have full access to the phone. Supposed you download an untrustworthy app, you can open yourselves to all kinds of exploits, which might damage your device or slow down its running speed tremendously. More worse is that it might steal your personal information and lead to your privacy leakage with unnecessary trouble. Conclusion: No matter the purpose of watching this article is for more information before purchasing iPhone 6 Plus or jailbreaking iPhone 6 Plus, it would be better to postphone making decision before you think it twice. As after judging and weighing the advantages and disdavantages of iPhone 6 Plus and iPhone jailbreaking, you finally know what you desire most and if you can accept its imperfect sides.